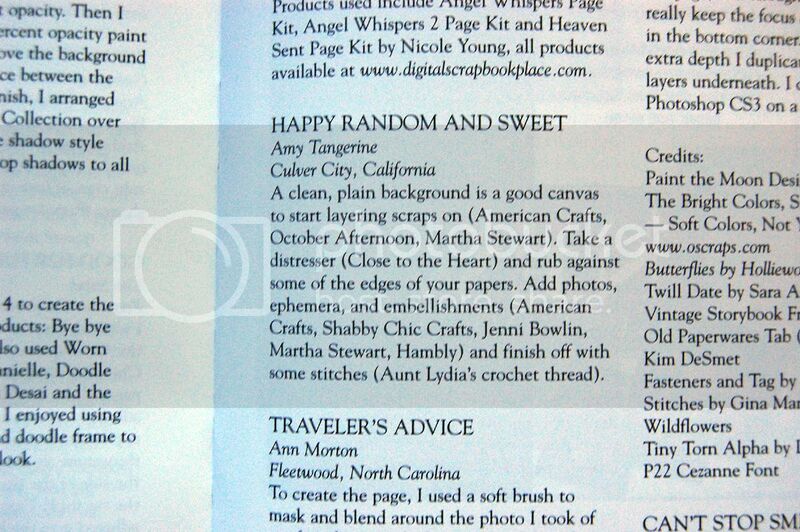 So excited about my first published scrapbook page in Somerset Memories Autumn 2009 issue! Happy Random & Sweet is on page 44. The ever-so-talented Dina Wakley has her beautiful page on the cover and an awesome story inside about her creative process.